When you're planning a new home, shop, outbuilding, or even a gate or animal pen, you're probably going to need the professional help of an experienced construction company. 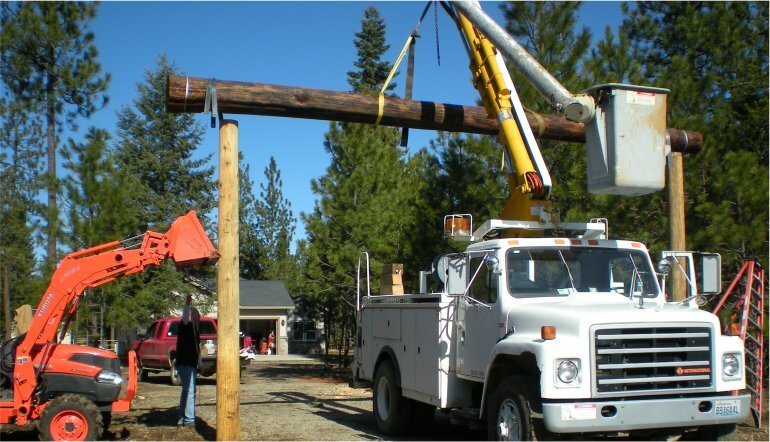 The Tree Service is a full-service construction company, so we can help you get your new home and property set up from raw land to finished product - we're really a one-stop shop! From clearing your land, constructing roads and driveways and access points, to building your house, shops, outbuildings, garages, docks, gates, and more, The Tree Service is experienced and full licensed and insured to build you whatever you need! You might not think of a professional tree removal company for building your home, too, but we certainly can take your home project - or any building project - from start to finish! Need construction work for your shop, shed, outbuilding, barn, house, or other project? Call The Tree Service today!